If you are currently looking for a new coffee grinder, then the Gourmia GCG195 Electric Coffee Grinder is the grinder you want to purchase. 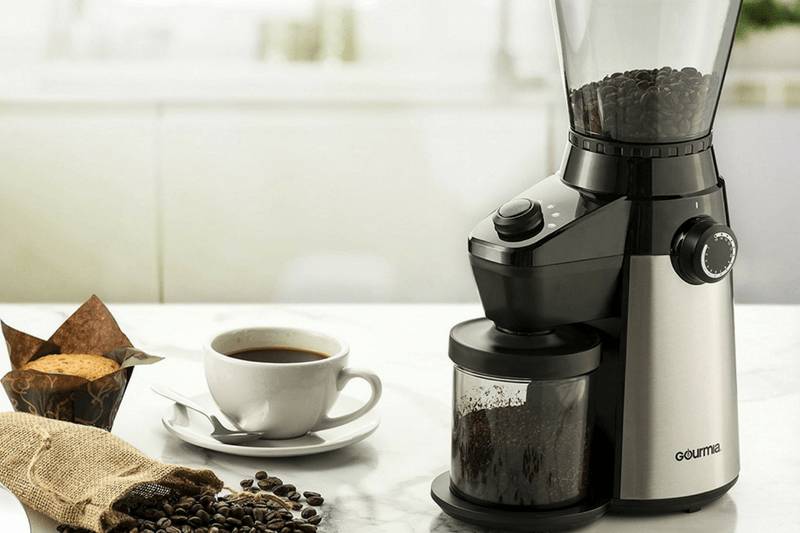 This coffee grinder will ultimately produce the best ground coffee you ever tasted. The founders of Gourmia's are experts when it comes to small appliances. Their passion shows through with the innovation and performance of this newest coffee grinder, as well as the value the customer receives every time the machine is used. This professional grade stainless steel coffee grinder is both sleek and compact. The unit weighs 4.6 pounds and is 14 inches high, 8.5 inches from front to back, and just 5.8 inches from side to side. This unit is ideal for home or office use, and fits under most cupboards. The Gourmia GCG195 Electric Coffee Grinder is ETL﻿﻿﻿ ﻿﻿﻿certified, which means you know you are purchasing a high quality appliance that is both safe and efficient. The conical burr disc is strong enough to grind coffee into the ultra fine powder used in Turkish coffees, and gives coarser grinds for other types of brews. 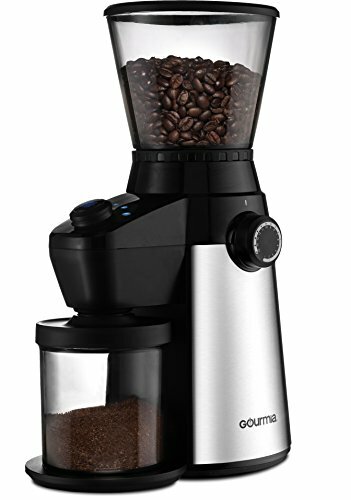 The Gourmia Coffee Grinder has removable parts which makes the machine easier to clean than most grinders. The bean hopper and grinding head assembly can be removed for thorough cleaning. This sleek machine is very easy to assemble and operate. It runs quietly and gives a consistent grind for each and every cup or pot of coffee desired. The 15 settings lets you get the perfect ground coffee for every type of coffee you want to brew. 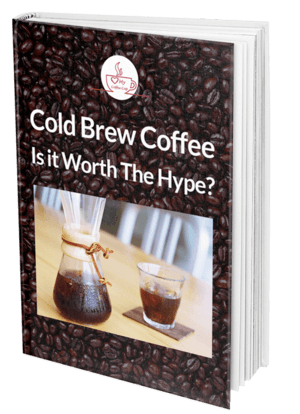 User guide helps even novice coffee grinders get started immediately. The manual has the settings listed incorrectly: 1 is coarse and 15 gives a fine powder. However, these are actually backwards, and 1 is for fine powder, while the higher you set the machine, the coarser the ground. Although this unit comes apart better than most other coffee grinders, like most burr grinders it takes a bit of time to get it fully clean. 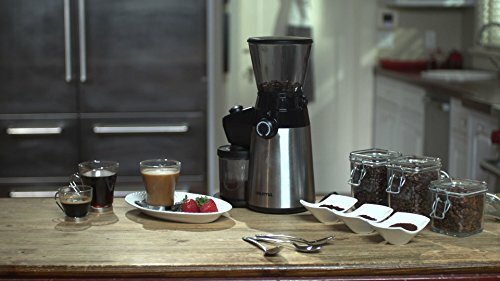 Overall, this Electric Coffee Grinder is just about the most perfect coffee grinder you can buy today. Its function and durability are what makes this coffee grinder the #1 new release on Amazon. Other coffee grinders may cost less, but they often fail to work as promised. The Gourmia GCG195 Electric Coffee Grinder delivers on every promise. Ultimately, this will be the best purchase you ever make.